Inflammation of the mucosa of the bronchus in the lungs is called bronchitis. Due to infection and inflammation on the bronchial walls they become weak and their size increases. 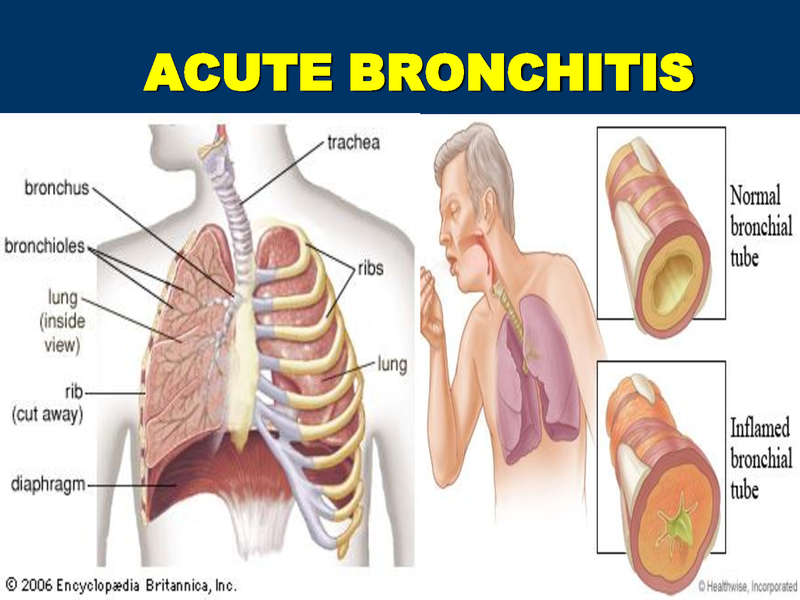 Chest pains, difficulty in breathing, fever, cough, mucus and muscles pain occur due to bronchitis. A person who has first stage of bronchitis they should use home remedies. Inhalation of steam out helps to come out of the disease. Lemon juice: Lemon juice is helpful in getting rid of mucus. You can also find relief from the sore throat. Garlic: It is good antibiotic. It has antiviral elements. Take 2-3 piece of garlic, cut them and boil it in milk. Drink it before bed time. Ginger: Drink ginger tea or take ginger powder. Take ginger mixed with honey twice in a day. Eucalyptus oil: Add 2-3 drops of eucalyptus oil in boil water and inhale it. You will get relief. Turmeric: Take pinch of turmeric and boil it in one glass of milk. Add one teaspoon ghee in it and drink it 2-3 times in a day. You will get rid from bronchitis by using this remedy regularly. Salt water: Do gargle with salted water. Your throat will get relief and the problem will solve for certain level. Onion: Take one teaspoon of onion paste in the morning and you will get relief in bronchitis. Drink water: Never forget to drink water. You must have to drink maximum water. Do not intake caffeine and alcohol as it increase urine and reduce water level in the body. Honey: Honey gives relief in throat inflammation and cough. Immune system become strong by taking honey regularly and you will avoid bronchitis. Almond: Almond has magnesium, calcium and potassium which kill the breathing problem.